I recently put a post out on instagram with a picture of these long sleeve shirts we did for a zany bunch of customers. The caption was simply would you rock this shirt? So far it seems to be getting plenty of great feedback. Tons of likes and one definite. To me it looks like something I would wear to a Christmas or holiday party. 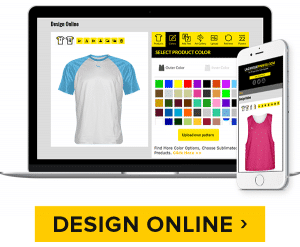 You too can design your own on our custom shirt designer software online. We have several different plain templates on our designer site that you can choose from. If you do not see a design on the site and want us to do something different, just shoot us an email and we can help you work through the design. There are some limitations but we will let you know so when you submit your original design. Click here to start designing your own custom long sleeve shirts. We make everything here in our factory in Maryland.